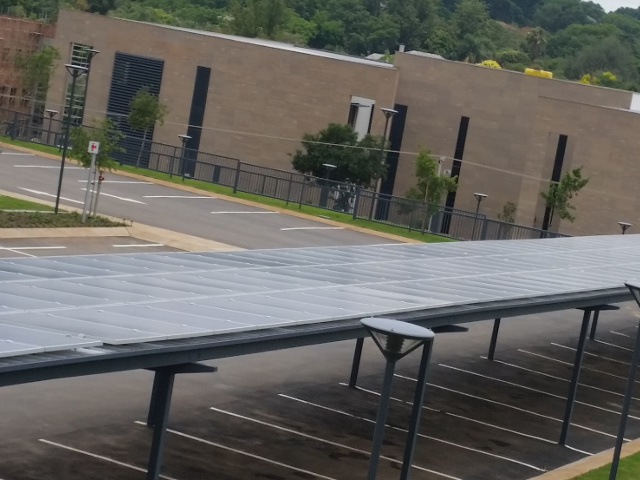 Solarcentury in South Africa has built two solar photovoltaic (PV) systems for the United States Agency for International Development (USAID) head office in Pretoria. 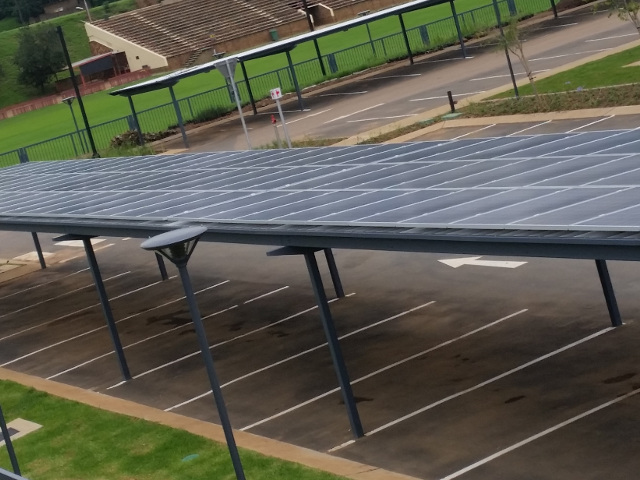 Solar panels have been installed on the existing building as well as on specially built carports, creating the largest parking structure solar canopy in South Africa. So in addition to shading vehicles, the carports will generate clean electricity. Almost 1,400 panels have been installed in total, generating 355kWp of clean electricity that will help power the site, reducing reliance on grid power. It will also cut the site’s carbon footprint by enabling USAID to save an estimated 618 tonnes of carbon every year. The solar systems are part of a range of environmental initiatives that have helped the site’s buildings achieve a 4 star South African Green Building Design certification. Cheryl Anderson, USAID/Southern Africa Mission Director said, “USAID was committed to constructing an environmentally and socially responsible workplace that offers staff a healthy environment without straining local resources. Reducing our carbon footprint and energy usage is important to the U.S. Government so installing solar power at this site was an obvious decision for us. We’re proud of our solar installations because they’re part of a range of green initiatives that have helped us achieve industry recognition for our efforts.” For the mechanical and electrical engineering aspects of the construction phase, Solarcentury employed 10 local technicians. In July 2014, Solarcentury in East Africa secured a contract through Solar4Africa to build Africa’s largest solar carport at Garden City Mall in Nairobi, Kenya. The system was connected to the grid in February 2015.